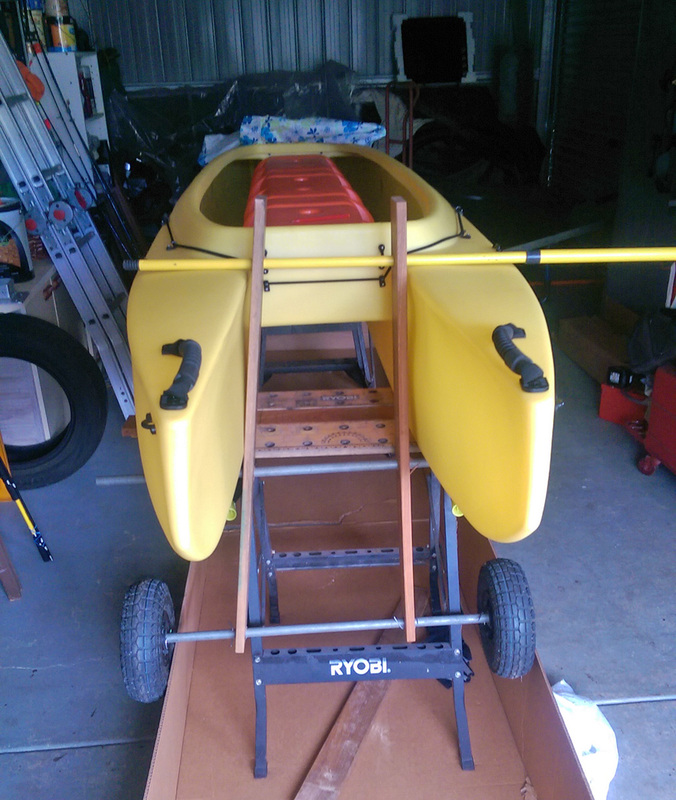 I haven’t been in a lot of kayaks before. I’ve been out with my wavewalk a couple of times, even caught a fish. Stood up, paddled, good fun. It was tough paddling against the wind and waves, but I’m very happy with it, and it can do much more than in the conditions I took it out in. Will take it out again sometime when the wind isn’t too strong. I want to get the motor on board as well, but one step at a time. I need to get an anchor, how do I attach it? Very happy with it. I feel very safe and happy in the wavewalk. Will need wheels to carry the wavewalk to the beach with the motor attached to it. Simply, by sitting in different spots along the saddle you can get the wind to direct the boat in a way that would help it track. This is why no Wavewalk paddler has ever outfitted their Wavewalk with a rudder. 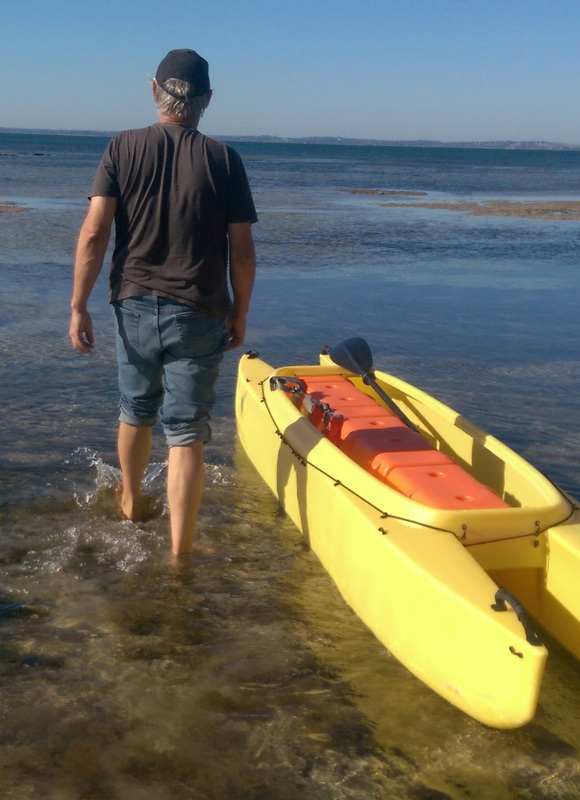 Hey Mate……..just type in “anchor” in the Wavewalk search box for some ideas. I envy you paddling over the Great Barrier Reef. Gary is right. By searching this site you could get some good ideas. 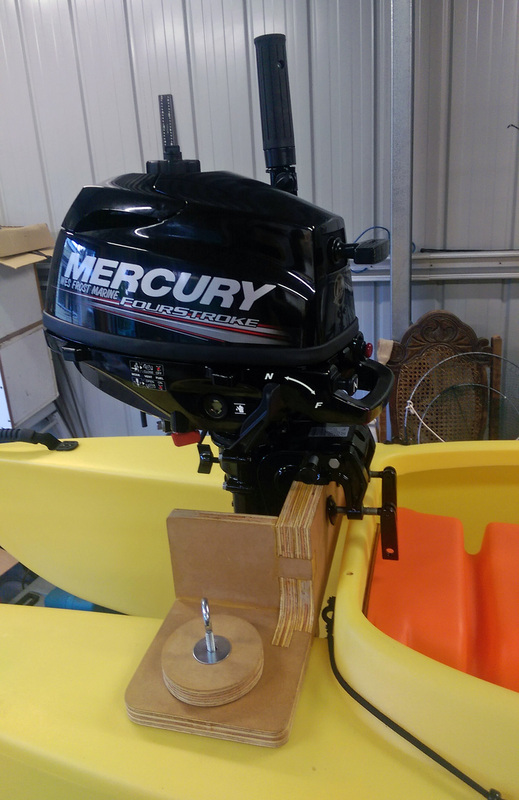 You can attach an anchor anywhere you want – Just drill a hole in the spray deflector and insert the rope there. You can also use the drainage holes that are already there, in the front and back of the cockpit’s spray deflector. I recommend that you do not actually “install” the anchor. As long as you have a secure attachment point for the line (a cleat, a ring, etc.) you can simply drop the anchor between the hulls. Whether the front or the back just depends on the wind/current and which way you want to face. piece should be inside hull? The 1 kg. (2.2 lb.) Lewmar claw anchor should work very well with the W700 Wavewalks. In a reef situation, you want something that you can put into a sand hole, and with reasonable but short scope, will dig into the sand. Those claw anchors dig in on most any bottom. But, secure your line or chain at the back end and use a zip tie trip release at the top end of the shank for when it inevitably does hang in the rocks. Figure on achieving a breaking strength of 80-100 lbs. so you can get your anchor back from Neptune’s grip when that might (will) happen. Those Lewmar anchors are only $12.99 at West Marine but 4″ or 6″ plastic zip ties are less than a nickel. For a moment remembered those illustrated books of the Iliad and the Odyssey that I read countless times when I was a little boy. I did used the W in rivers and lakes with anchor. One of best anchor to use is just simple heavy metallic chain from HomeDepot (US & Canada) at the end of a rope. 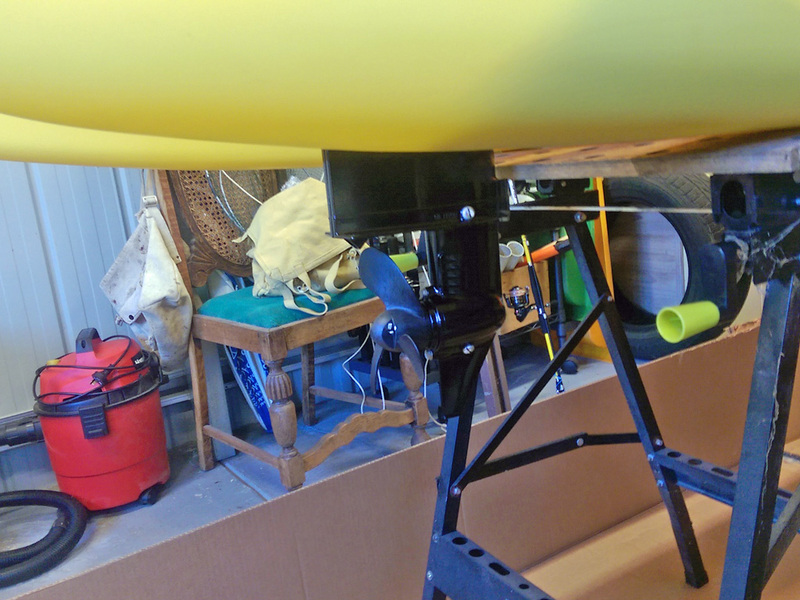 The rope should have a solid clamp that can be hooked to the motor mount, no need to drill more holes in the Wavewalk. I do not recommend at all the heavy anchors that hold or get stuck at the bottom. Depending on the wind or water current you can get under water in no time because of sudden changes. This happen to a friend of mine in a different type of kayak on a river close to a big water fall. You need to have the backup plan in place: the clamp, you should be able to release the anchor in a second for such situations. 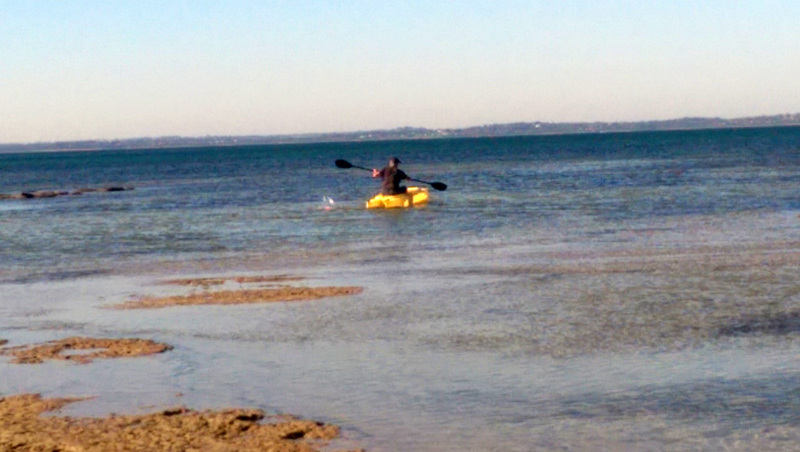 4) explore slowly the water you take the kayak, know the surrounding, get a GPS with you.